Joe K. Veal, CEO Top Coats Roofing is the bonded, insured, certified Conklin Master Contractor to choose when you want roofing services from professional Georgia roofers. Whether it’s an inspection, roof leak repair or new roof installation, our team of roof contracting specialists are here to answer your questions and make the acquisition and installation of your roofing product as easy and painless as possible. When it comes to quality and reliability, you will find no other roofing contractor company as ready, willing and capable of fulfilling your needs as Top Coats Roofing. We take great pride in the products and services that we offer, and, unlike some members of our competition, we never cut corners at the cost of craftsmanship. It is our belief that our integrity and dedication to excellence are built in and reflected through each of the projects that we complete, both in the quality of our work and our choice of superior-quality roofing materials. Don't gamble on the longevity of your roof project. You can trust us to provide a reliable roofing solution. 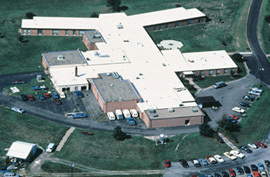 We value our name and reputation, so we take pride in performing each step of the roofing process. 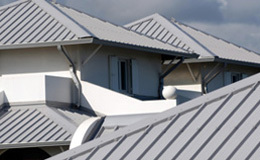 From the initial consultations and estimates to completing the installation, repair or inspection, we understand that you are entrusting us to provide you with sound, honest information, trustworthy guidance and a variety of options related to the products and services that will suit the needs of your roof and your budget. We founded our roofing company with the objective of creating the most trusted name in the Georgia roofers contractor industry. We wanted to present and uphold a standard of quality that would be unsurpassed by our competitors. Now that we have achieved that goal, our mission is to continue in that same spirit and maintain our perpetual stride towards excellence. We are a registered member of the National Roofing Contractors Association and a trusted company listed in the directory of the Better Business Bureau. Our company and reputation were built upon a foundation of integrity and trust. As experts in roofing services, we are aware of some of the questionable practices that are performed by some of our competitors and we are here to assure you that not every contractor and contracting company engages in such practices. As one of our customers, you will be treated with dignity and respect. We will provide you with nothing less than the honesty and quality service that you deserve. We are a bonded and insured Georgia roofing company and we're happy to provide references. Don't settle for anything less with your important roofing project. how we may serve your roofing needs. If it’s been more than 2 years since you’ve had a roof inspection, now’s the time to act. Roofing inspections can keep your roofing system intact and up to code. Regularly scheduled annual or bi-annual inspections aid in detecting smaller maintenance issues that, if untreated, can lead to larger, more costly damages and repair bills. Our trusted team of contractors will perform an inspection of your roof and we’ll provide you with an honest, accurate assessment of your roof’s condition and needs – if there are any. For trusted Georgia roof repair and Georgia roof replacement services since 1999, there’s only one name to remember: Top Coats Roofing. We serve all of Georgia including Atlanta, Columbus, Macon, Athens, Albany, Valdosta, Thomasville, Waycross, Tifton and throughout the state of Georgia. Watch an episode of, Ask Joey, in the video below where he answers the question, "Is it safe to use a nail gun when installing shingles?". Joey Veal, our CEO, brings his many years of expertise to the table at every job. We invite you to leverage his professional approach and expertise for your next roofing project.